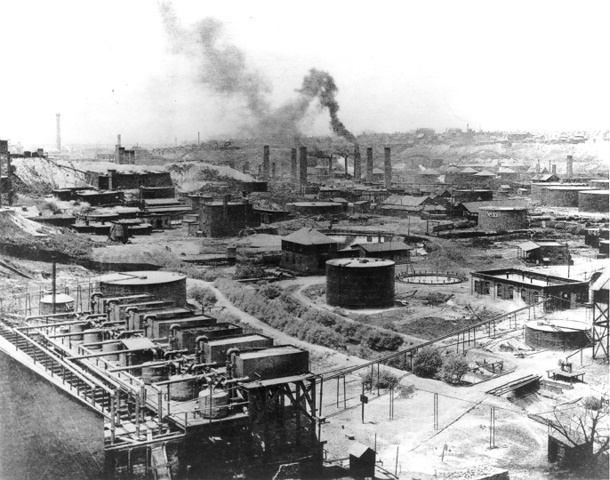 John D. Rockefeller's Standard Oil Company was incorporated in Ohio. 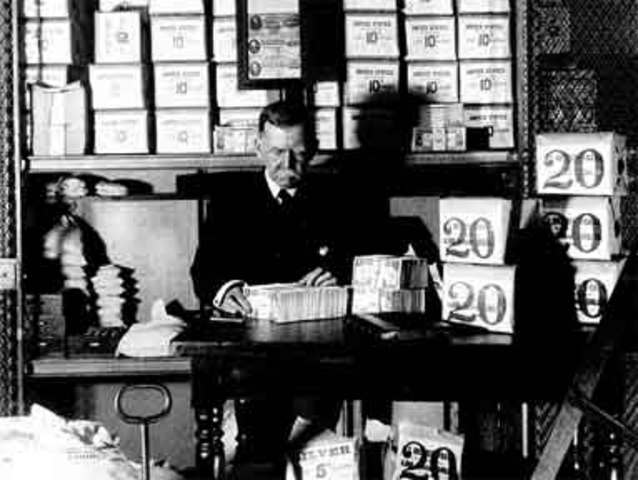 Rockefeller was active in the oil business since 1863. Standard Oil was first formed as a partnership in 1868. Standard Oil dominated the oil market through horizontal integration. President Ulysses S. Grant promoted George William Curtis as head of the Civil Service Commission. Curtis, the editor of Harper’s Weekly, has denounced political corruption and supported imitation of the British system of awarding government positions on the basis of performance on a written test. The commission’s recommendations will be disregarded and Curtis will resign in 1875. 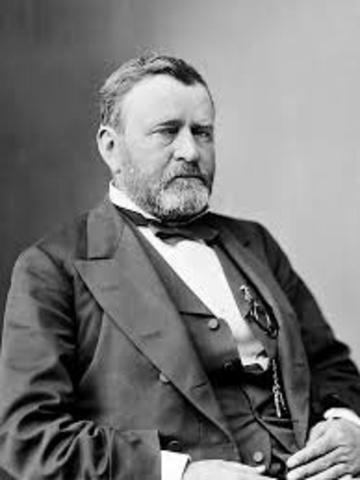 President Ulysses S. Grant is reelected to a second term as president of the United States after defeating Horace Greeley, the nominee of both the Democratic and Liberal Republican Parties. Grant received 56% of the popular vote, as well as 286 and 352 Electoral College votes. Greeley died less than a month after the election. 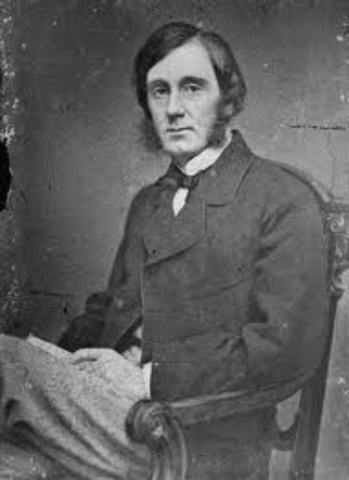 The National Labor Party candidate, Charles O’Connor, received only 29,489 votes, ending the National Labor Union’s experiment in direct political action. 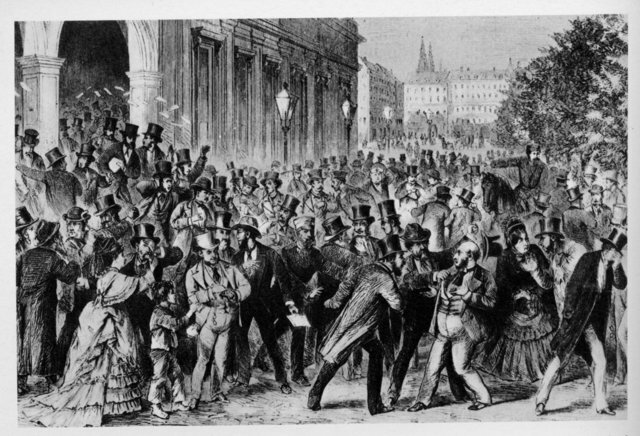 The collapse of Jay Cooke and Company, a Philadelphia investment bank, triggered a nationwide financial panic that led to a broader economic depression which lasted until 1879. 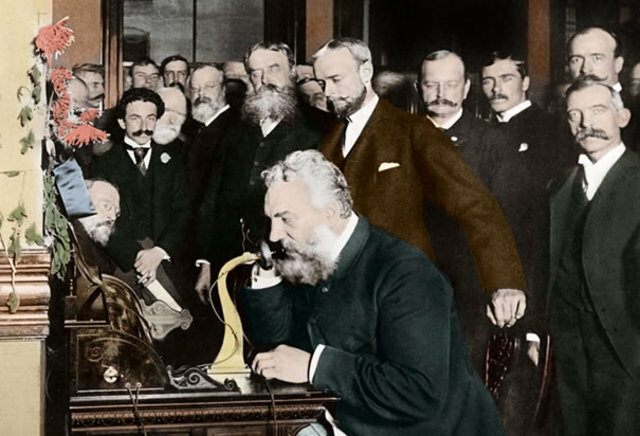 Inventor Alexander Graham Bell successfully transmitted a human voice over a wire. The telephone would revolutionize personal and business communication. Thus, making it easier for individuals to communicate with ease. 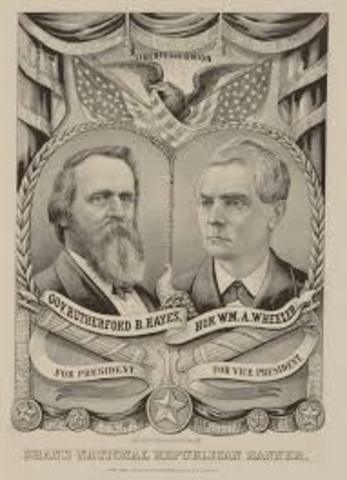 The Electoral Commission established by Congress to investigate the presidential election of 1876—in which disputed returns from Louisiana, South Carolina, Oregon, and Florida have left the outcome undecided—declared that Rutherford B. Hayes as the newly elected president of the United States. 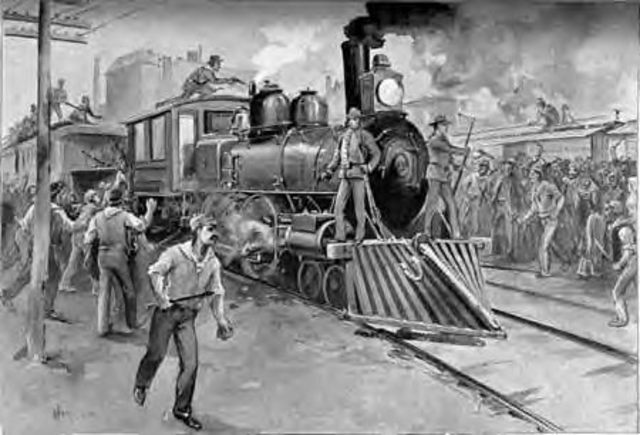 Brakemen and firemen from the Baltimore & Ohio Railroad walk off the job at Camden Junction, Maryland, initiating a wildcat strike that will shut down thousands of miles of track throughout the northeastern United States. 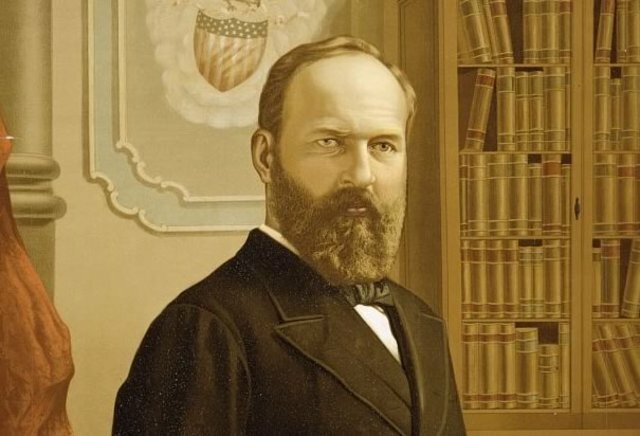 Republican James Garfield is elected president of the United States. His popular-vote margin of victory over Democrat Winfield Hancock is 7,018 votes out of more than 9 million cast. Garfield receives 214 Electoral College votes; Hancock receives 155. James Weaver, the candidate of the Greenback Labor Party, receives 308,578 votes. 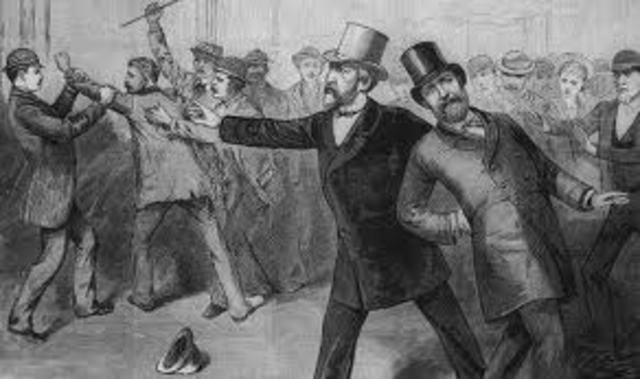 President James Garfield is shot by Charles Guiteau, a deranged federal office-seeker. Garfield will die on 19 September. Vice-President Chester A. Arthur would be sworn as president one day later. Hoping to reduce corruption in the distribution of government jobs, the United States Congress passed the Pendleton Act, which introduced an examination system for selecting federal civil servants. Only 10% of all federal appointees were made subject to this process of selection by examination. 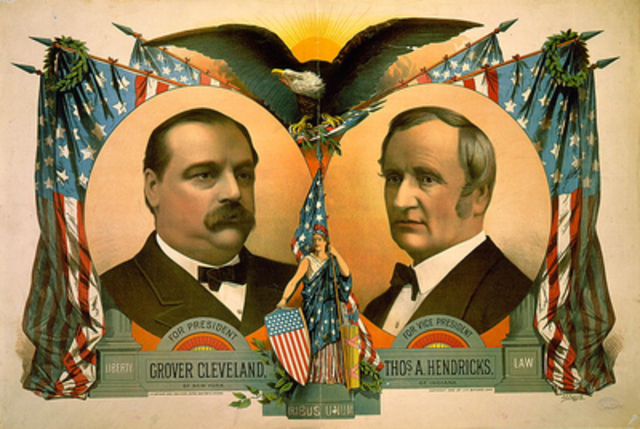 Democrat Grover Cleveland defeats Republican James Blaine and was elected president of the United States. Cleveland's popular vote margin of victory was 62,683 votes out of more than 10 million casted. 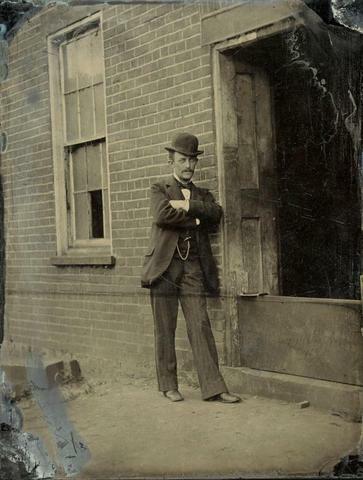 Greenback Labor Party candidate Benjamin Butler received 175,370 votes; John St. John, candidate for the Prohibition Party, received 150,369 votes. 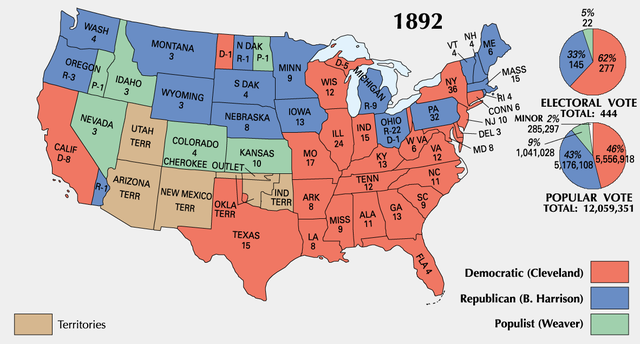 In the Electoral College, Cleveland received 219 votes compared to Blaine's 182. 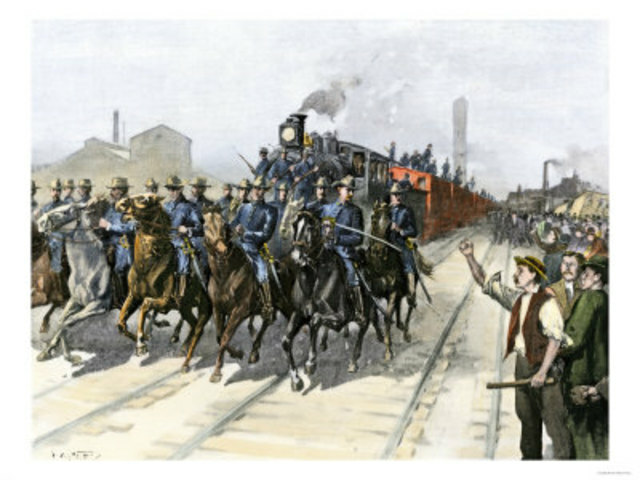 The Knights of Labor joined a strike against the Wabash Railroad, part of Jay Gould's Southwest System, paralyzing the entire system. Gould was forced to make concessions to the Knights, which led to a dramatic boost in their membership. Within a year the Knights of Labor would have more than 700,000 members. 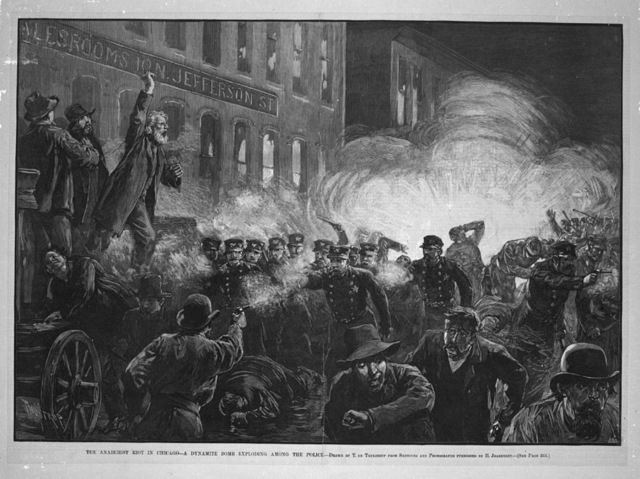 A rally in Chicago's Haymarket Square in support of striking workers from McCormick Harvester Works ends when a bomb was thrown, killing six policemen and wounding more than sixty others. Eight anarchists were convicted of the crime, but all supporters of unions and the eight-hour day were found guilty by association in the public eye. The influence of the Knights of Labor quickly diminishes; membership would decline by more than 50% over the next year. Republican Benjamin Harrison was elected president of the United States despite polling almost 100,000 fewer votes nationwide than Democratic incumbent Grover Cleveland. Harrison carried the critical swing states of Indiana and New York in winning 233 Electoral College votes compared to Cleveland's 168. 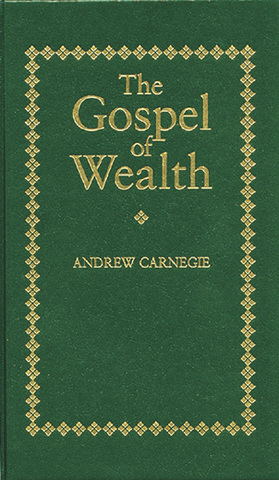 Industrialist Andrew Carnegie published an essay entitled "The Gospel of Wealth," which outlined the social responsibilities and social benefits of those that were wealthy. Henry Frick, Chairman of the Board of Carnegie Steel and plant manager at Carnegie's Homestead steel plant, shut down the factory and locked out their employees when negotiations with representatives from the Amalgamated Association of Steel and Iron Workers broke down. 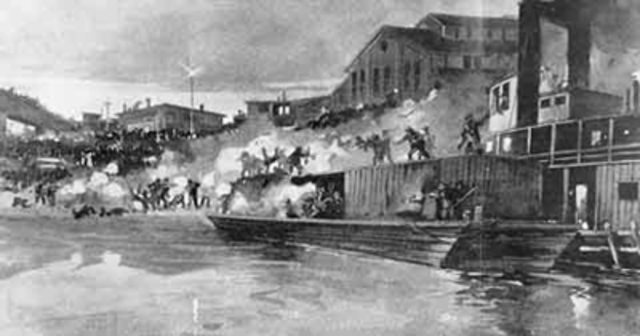 Two barges filled with armed Pinkerton Detectives attempted to land at Homestead to guard Carnegie's steel plant. Striking steel workers prevented the barges from landing. During the fourteen-hour battle, seven steel workers and three detectives were killed. Alexander Berkman, a labor activist and anarchist, attempted to assassinate Henry Frick. Despite being stabbed several times in the neck and torso, Frick survived and refused to seek medical treatment until the end of his workday. 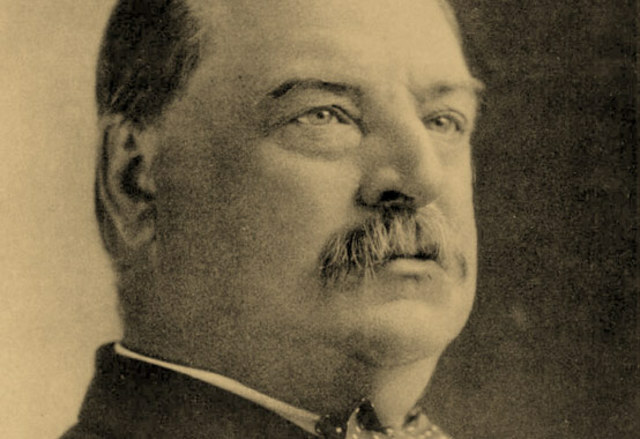 Democrat Grover Cleveland was re-elected president of the United States, returning to a second term in the White House after a four-year hiatus. He received 5,554,414 popular votes; Republican Benjamin Harrison received 5,190,802; Populist James Weaver received 1,027,329. In the Electoral College, Cleveland received 277 votes compared to Harrison's 145 and Weaver's 22. 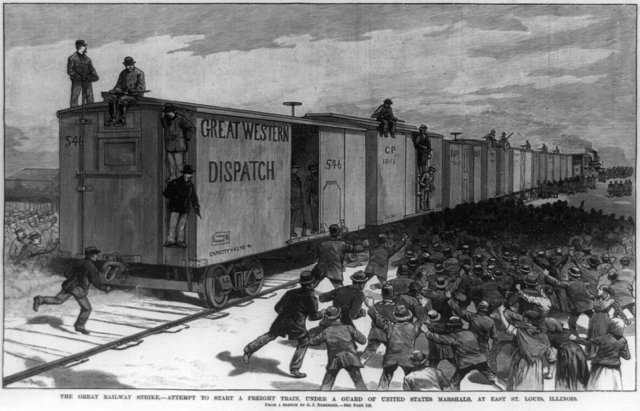 Workers employed at the Pullman Company, outside of Chicago, went on strike when the company's owner, George Pullman, refused to reduce rents in the company housing to match announced wage cuts. 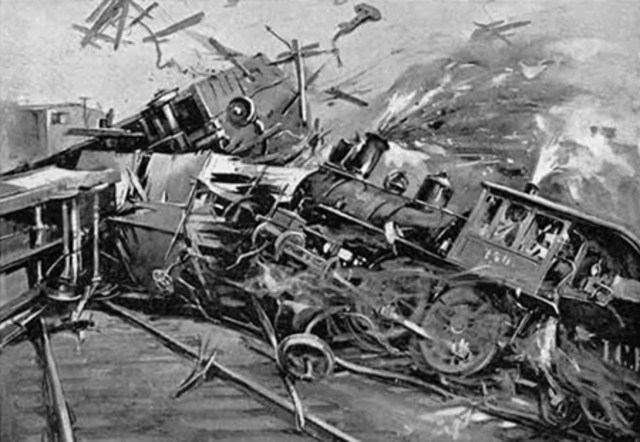 The American Railway Union, led by Eugene Debs, instructed its members not to handle Pullman cars in support of the striking workers at Pullman's factory. 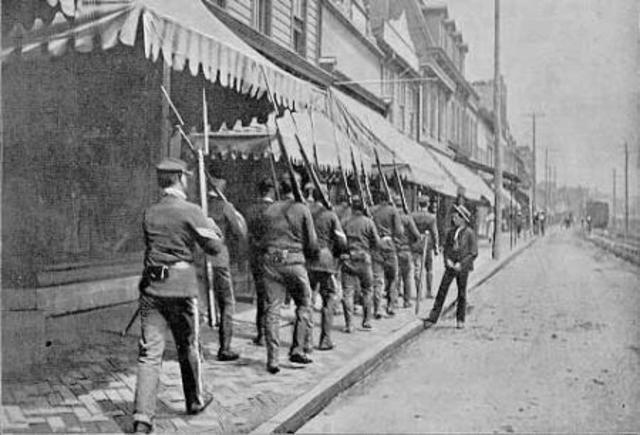 President Grover Cleveland sent federal troops to Pullman to enforce a court order prohibiting American Railway Union leadership from encouraging striking workers. Rioting in several cities would lead to the deployment of more than 14,000 state and federal troops. The American Railway Union president Eugene Debs arrested for violating the court order, and thousands of troops protecting railroads from striker interference, the Pullman strike ends in defeat for the workers and the union. 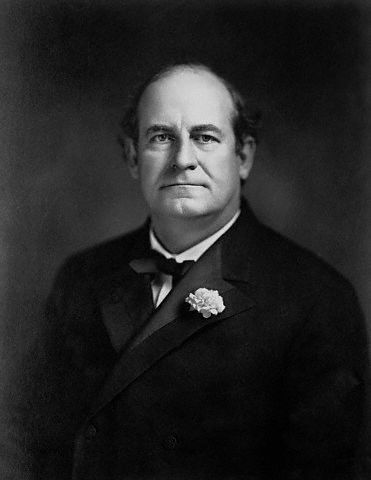 The Democratic Party met in Chicago and nominated William Jennings Bryan as their presidential candidate. The Party Platform called for the free and unlimited coinage of silver at a ratio of 16 to 1. 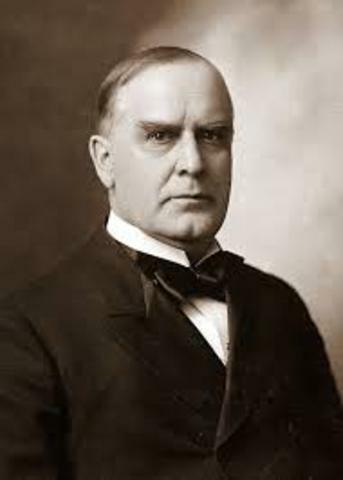 Republican William McKinley was elected president of the United States, received 7,035,638 popular votes. Democrat and Populist candidate William Jennings Bryan received 6,467,946 votes.